This summer, as part of a cultural exchange program called Envisioning Our Future, Appalshop’s Appalachian Media Institute and the Carnegie Museum of Art worked with rural and urban Appalachian youth to learn storytelling. 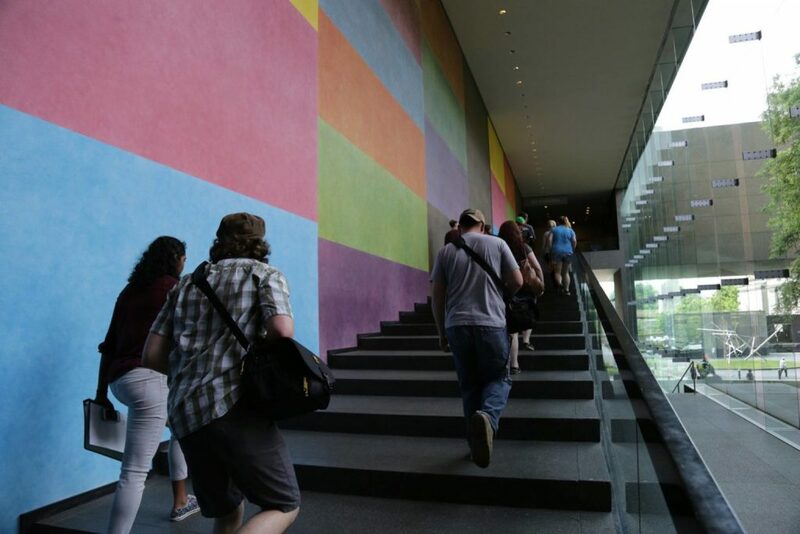 As part of the program, students were given the opportunity to explore concepts of place, identity, and economic transition through filmmaking, photography, podcasting, and creative writing—all with the galleries at Carnegie Museum of Art as the backdrop and inspiration for their learning. Read the full article on CMOA’s blog or visit the Envisioning Appalachia story archive to learn more about the exchange.